and here’s a sneak peek at it before I square it up. You may be able to pick out the almost invisible cat helper. I’ll post more photos when I’ve pressed it and squared it up. 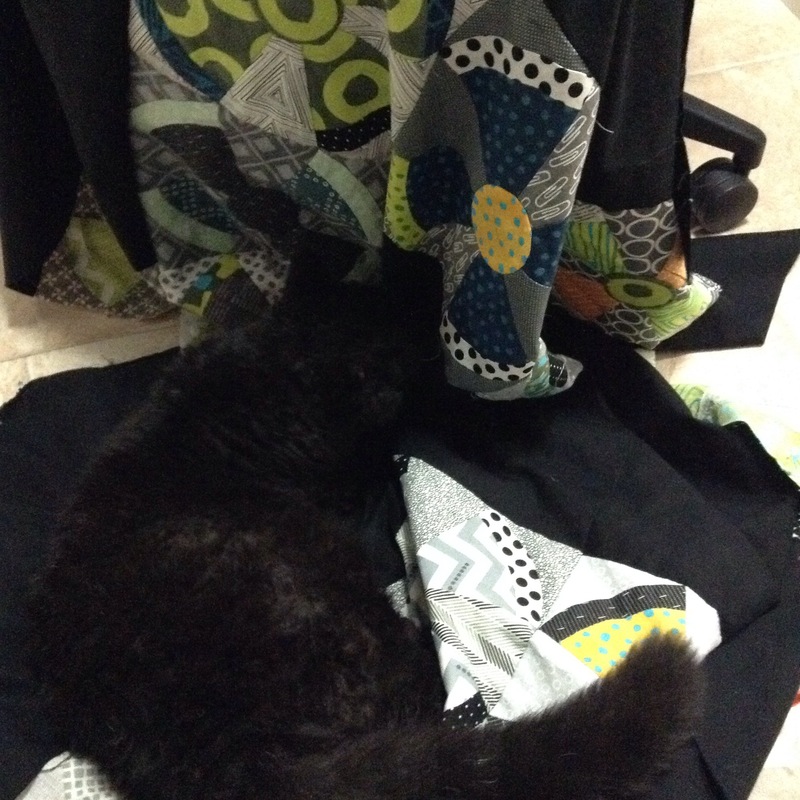 I really like the pattern you are going to use for the quilting, and I spotted the quilt inspector’s tail!! I know he is so hard to see. Black cats are notoriously hard to photograph. Glad you like the pattern. I’m happy with it so far.